Claudio Pizarro has returned to the Bundesliga signing a contract with 1.FC Köln. The Futbolgrad Network has more on the Peruvian forward returning to professional football. When looking through the history books of Europe, West Germany is a location rich with power and prosperity. Over the years the area has experienced success in art, politics, economics and football. Bayern München are ever present in the latter stages of European competitions boasting a trophy cabinet rival by few. Borussia Dortmund are the leaders of player development, attacking excitement and flair. Borussia Mönchengladbach in the late seventies challenged sides like Liverpool for European dominance. One West German side that you may not find in the history books is that of 1.FC Köln. Cologne is better known for the famous Cathedral that overlooks the city, the tragic World War II demolition and the modern day multicultural and liberal attitude. Lesser so it’s football. The RheinEnergieStadion is often speaking of for its atmosphere created by the passionate fans, but this season even this has been tested due to a run of poor performances and distinct lack of goals. Last season saw the Billy Goats achieve European football for the first time in 26 years largely down to the goalscoring heroics of Frenchman Anthony Modeste. His departure to China left big boots to fill and record signing Jhon Cordoba has struggled to get off the mark. Also, fellow striker Artjom Rudnev asking for his contract to be dissolved due to personal reasons. Der Effzeh need a goals, heroics and someone familiar with entering the history books and this week they have got just that in veteran, Claudio Pizarro. The 38-year-old Peruvian has had a distinguished career, playing for Werder Bremen, Chelsea and Bayern München. During his two stints at the Munich club, he won six Bundesliga titles, five DFB-Pokals and the Champions League. In 2014 he reached a feat of scoring against every side that had featured in the Bundesliga when he put two passed Eintracht Braunschweig. This achievement gave him the title, the ‘Anden-Bomber’, a reference to the Andes in his home country and to Bayern legend, Gerd Müller. Köln coach Peter Stöger will be delighted to have such an experienced marksman amongst his roster. 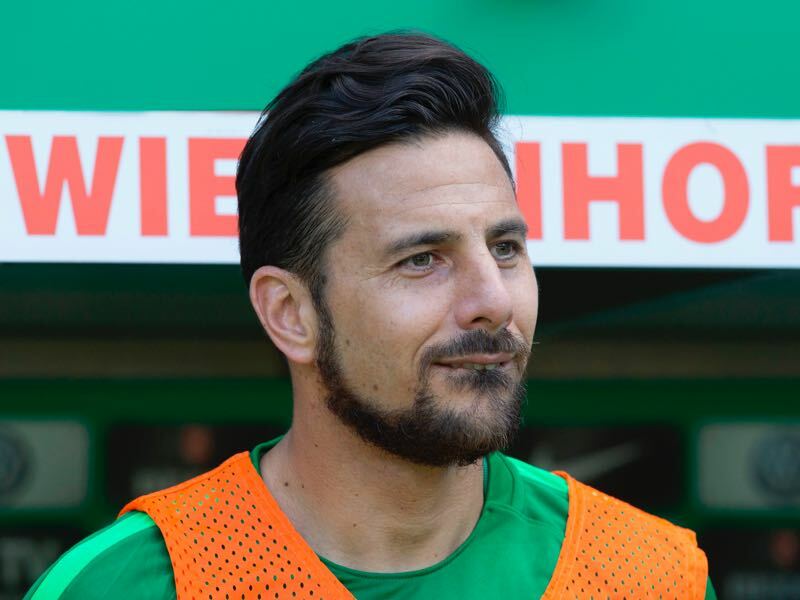 Pizarro’s previous spell in the German top flight came to an end when Werder Bremen decided not to renew his contract at the end of last season. But Pizarro was not prepared to hang up his boots yet and even though unaffiliated with a club when the current season began, he worked hard to keep fit and for the opportunity to return. His mannerisms and professional behaviour have always been greatly praised at the training ground and dressing room but his determination will have him aiming for something more than one final pay package. The chance to save his new side from relegation and also move up one more space on the Bundesliga all-time highest goalscorer list will be two things he will be determined to achieve. Is Pizarro the man to fill the large Modeste shaped gap in the Köln squad and get 20 plus league goals? Probably not. His ageing body means that the goals are not as frequent as they once were. However, the fire in his belly and firepower in front of goal can be just enough to see him put Effzeh in the history books as a Bundesliga side for one more year and maybe even move to fourth on the scorers’ list.